By now in the wedding planning map, you've set the budget, picked your wedding planner, put together your wedding day squad and set an ideal guest count. Now, it's time to pick the team that will build your day into what you dreamed it to be. Everyone wants to be in on the wedding business. And boy, after first-hand experiencing how much weddings cost, I want to be in on it too! A chair may cost $10 on a normal day but once you mention it is for a wedding, it now costs $1,000. If you doubt me, try it. It's ll because weddings have the reputation of being a splurge-fest. It is well-known that brides will do almost anything to have a perfect day. It doesn't help that social media has created a "Do it for the Gram" platform that pressures brides into having a "talk of the town" wedding and not the celebration of love a wedding should. This well-known facade inspires some of the foul games and extortion attempts you'd witness while planning your big day. The horror stories are endless..There are the people who posed as reputable vendors, got paid and never showed up on the wedding day. There are the people who are indeed reputable vendors, agree with you on the details of your wedding, then a few days till your big day, start to renege on your agreement (I can testify!). There are the vendors who will quote you one price and then come up with all sorts of hidden costs and fees. Sometimes, at least one horrific vendor experience is unavoidable but the key is to plan against it by picking good vendors. That way, even if it happens, the impact will be minimized. This post will be in two-parts. First, I'll give you tips on how to pick good vendors. Next time, I'll tell you how to get the best out of your deals with vendors. The first step is asking around. 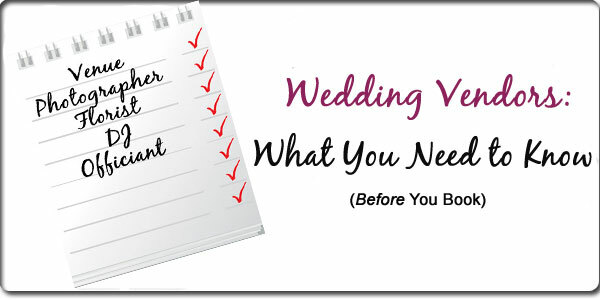 Ask a friend or family member who you've liked something about their wedding or who has experience planning a wedding. Also, short of becoming obsessed, creating expectations and setting yourself up for failure or heartbreak, pay attention when you attend weddings and take note of things that stand out to you. That's also what Pinterest is for. I knew who would MC my wedding (whenever it came) since 2013 when I attended my friends wedding in Florida. I was not even engaged then (don't judge me ;-)) Two years later, he flew to Texas to be my wedding MC and he didn't disappoint. Ask your wedding planner. Also, network the vendors you find and like. For example, If you meet a DJ you like, ask him about other vendors he works with. There's a good benefit with working based on recommendation of vendors because if you end up with a vendor team that work together regularly, they know each other and have experience putting together great events and it'll be so much less friction and you don't have to worry about first-time-potential friction between vendors. I put recommendation in quotes because while getting recommendation from people who have used the vendor is great, you have to first consider who is giving the recommendation. Do you have the same style, temperament, and expectations as they do? 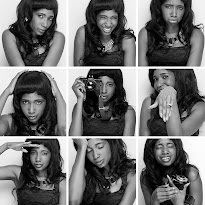 One videographer may have worked for your friend because she likes heavy editing, but if you have a much simpler style, that videographer may not work for you unless you can verify their flexibility (more on this below). P.S: Beware of mirroring all the vendors from one wedding. You don't want your wedding to look like a "syndicated re-run". After you get the recommendations, do your one Independent research. Especially if you don't know anyone who has used a particular vendor, ask for client references. Then, become social media CIA. 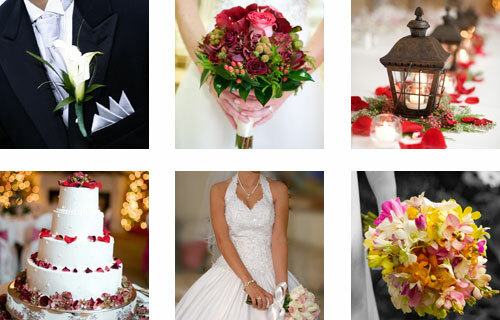 Comb through the vendors' social media profiles and reviews on The Knot! Look at what their work and pay attention to the quality of online comments. As we all know, the Internet is not foul-proof, but if you use reliable review sites, you're sure to find valuable information. Of course, unless you've seen a vendor's work before, a face-to-face meeting is a must. It may feel like an awkward first date but just like with that marriage you are starting, the first date is necessary to get to know each other and gauge chemistry. When you come in contact with a vendor for the first time, pay attention to the way they treat you and others. I found this to be the biggest telling as to how they would treat me if things were ever to get off rail a bit. Pay attention to how they talk about former clients. You may very well be next. Also, note how they react to your budget. For example, if a vendor looks down on you because of your budget or on the other extreme, seems to be more into what (popularity, etc.) you can bring to their business, than in actually helping you make your special day good, think twice. More importantly, you want a vendor you click with. You want someone with whom you can have an understanding with and with whom you feel comfortable with. It'll help your sanity. It will also work in your favor when you need an extra favor. I am blessed to say that I became friends with majority of my vendors. My DJ was kind enough to do various mix versions for my sisters and I to dance to at no extra charge, my baker treated my sisters and friends to extra yummy cake a few months to the wedding at no extra cost, my venue wedding coordinator was happy to write off the extra charge for a room booked in my name for a guest who never showed up, my caterer baked an extra pan of moi-moi at no extra charge for my mom because she learned she did not get to eat it at the wedding....I could go on and on but you get the drift. Before each meeting, research and have questions ready to ask. Write down what exactly you want from this vendor and what your budget is. This will help you stay on track and not get pushed off course. Even more so, don't get caught up in fancy presentations and unending promises. Ask questions and pay attention to your instincts! If you ever feel pressure to sign, run the other way! It's very easy to get so bugged down with all the "wedding" talk, nothing makes any sense anymore. Eventually, it starts to sound redundant and in frustration, you just start to sign papers and get the relief of checking one more vendor off your check list. But think again before you sign what may be the demise of your big day. In the beginning of my wedding planning stages, when I was looking for a venue, we visited a beautiful venue. No sooner did we sit down did the coordinator start talking our head off about all that was included in the venue package. "You'll get linen, a photographer, an amazing limo service...we even have videography options and the liquor can be flowing all night..." On and on she went. She barely let me get a word in, so I let her ramble on for a few minutes. When she was done, she started to pull out the paper work hoping that we would sign immediately. I spotted a hidden exquisite-looking table cover, so I asked her if we could choose that. In response, she resumed rambling. I interrupted this time to ask about the photographer in the package, then about the limo service. I started asking specific questions like "what time will the open bar open and end?" "how many hours will the limo service be for?" "what specific linens are included in the package" and she looked like a deer in the highlights trying to keep up. The package she sold was basically empty, filled with 2 hours of limo service, low-quality linen that I could make and hem in my sitting room and open bar that consisted of only beer and wine for three hours. There were so many hidden facts and fees she would have never disclosed if I didn't press for it. An acquaintance of mine got married in that venue a few months ago and complained endlessly about how she was blindsided by all the empty hype. Be careful! What services will cost extra? For photographer and videographer, how soon after the wedding can I expect the pictures? How many hours is included in the contract? For the caterer, do you have liability insurance? For the ceremony site or church, do you allow rose petals? Do you have a strict selection of ceremony music? Will you allow us write our own music? Will you have a rehearsal coordinator? Are you available on __ date? A good vendor is someone who is a good balance of knowing what to do and being flexible. A good vendor may not be able to fit your million dollar dream into $1,000 but they should offer satisfying alternatives.Whether your budget is $10,000, $30,000 or $100,000, you want a vendor who knows how to work with your budget- someone who is willing and understanding enough to hear what you want and stretch your resources to accomplish it, if need be. You don't want someone to look down on you only because you are not blowing $200,000 on your day or simply ignore the restraints of your pocket. When I was looking for a decor vendor to help create the scene for our engagement shot, I contacted a popular Houston vendor. I had seen her work all over social media and was quite impressed. So, I reached out. She asked my budget and when I gave it to her, she came back with a quote for 4 times over. She made no effort to try to fit my vision into my budget and no alternate suggestions as to how to accomplish my goal in a budget-friendly manner. It was as if I committed a crime by even having a budget. Needless to say, I turned the other way and never looked back. Last but not least, Before you rush and sign any contract for any service, make sure you have considered at least two vendors. You have to compare packages, prices and everything in between. The most expensive does not always mean the best option. It is the value that counts! This is one of the reasons I gave myself a year plus to plan the wedding. Needed the time to shop and find the right people, especially because I was planning from out of town. It paid off! Making decisions on a daily basis is hard as it is and even more so while planning a wedding and maintaining any kind of life outside of it, so if you ever get stuck, refer to Decision after Decision, the post about making decisions. Ultimately, think of choosing each vendor like you would choosing a good mate. You need vendors you can count on, who understand you and what you want and share enthusiasm in your bug day! I had a very bad experience with one of the first vendors I met. I wasn't prepared for such lack of professionalism and it took me two weeks to get over it and trust any other vendors. Everything happens for a reason though, I found an amazing cake decorator because of this mishap. It happens to the best of us. So glad you found someone better! It's all a lesson learned!